After the installation process provide a password for root user. You already have a root password set, so you can safely answer ‘n’. We have successfully install our MySQL Database Server. After the installation we can now easily access our server. 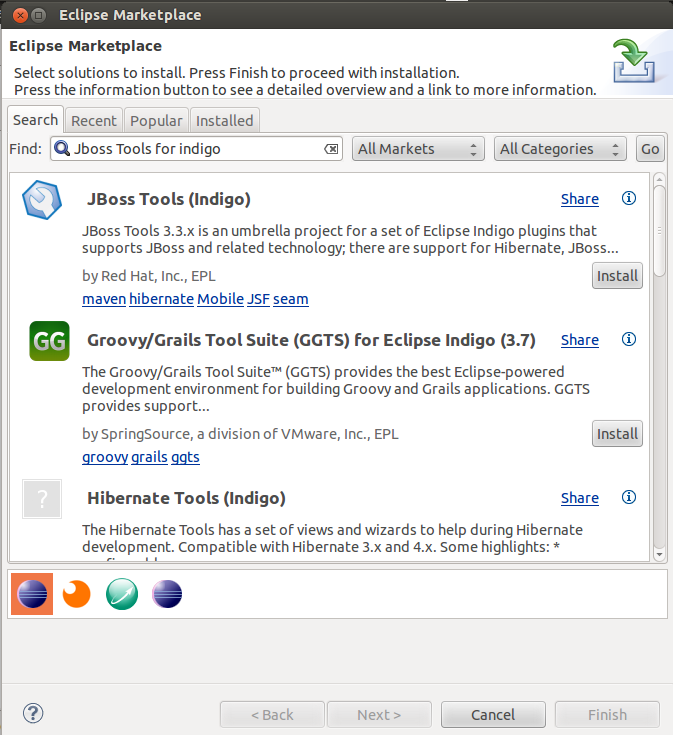 In Eclipse IDE, go to Help > Eclipse Marketplace. Confirm the features to be included by clicking Next. Accept the license agreement and click Finish. 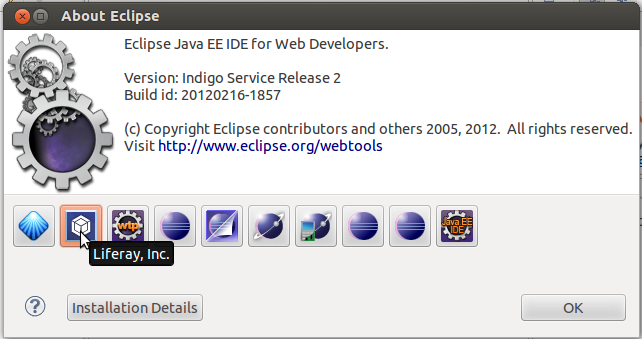 We need to restart Eclipse for installation to take effect. Click Restart now. 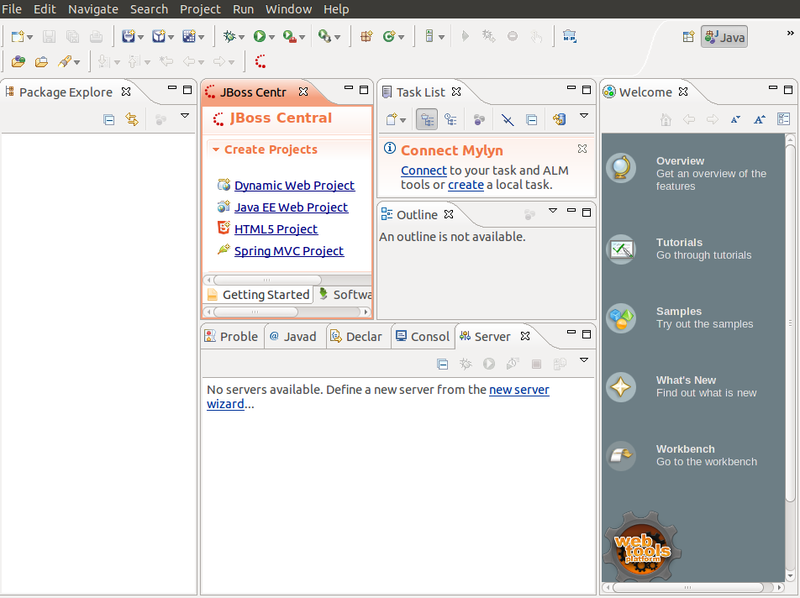 Jboss tools are now installed in our Eclipse IDE. Go to Windows then Select Preferences. On the Preferences window. 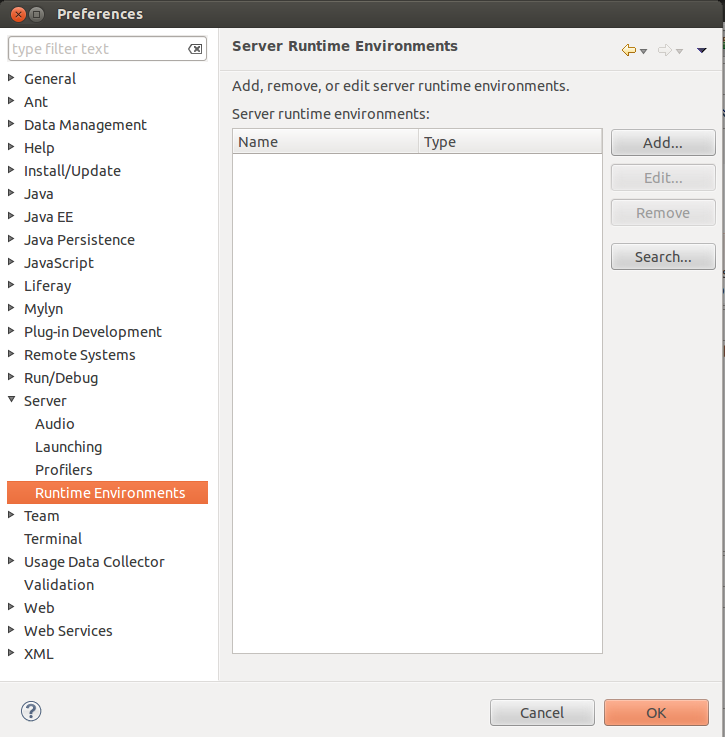 Go to Server > Runtime Environment. Then click Add button. 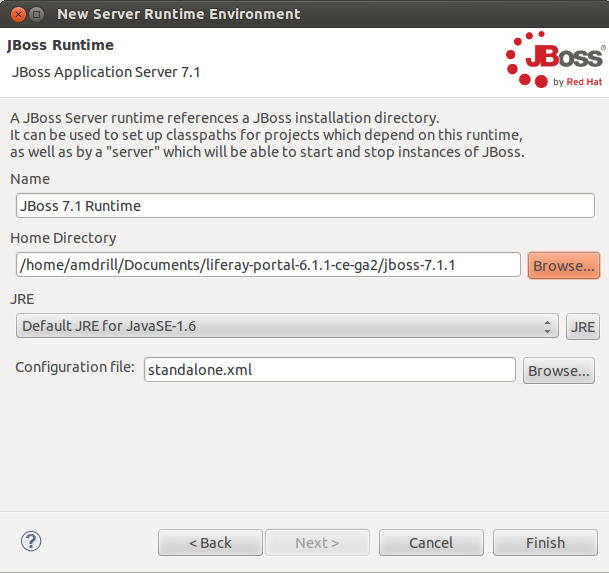 On the New Server Runtime Environment, go to Jboss Folder and select Jboss 7.1 Runtime and click Next. 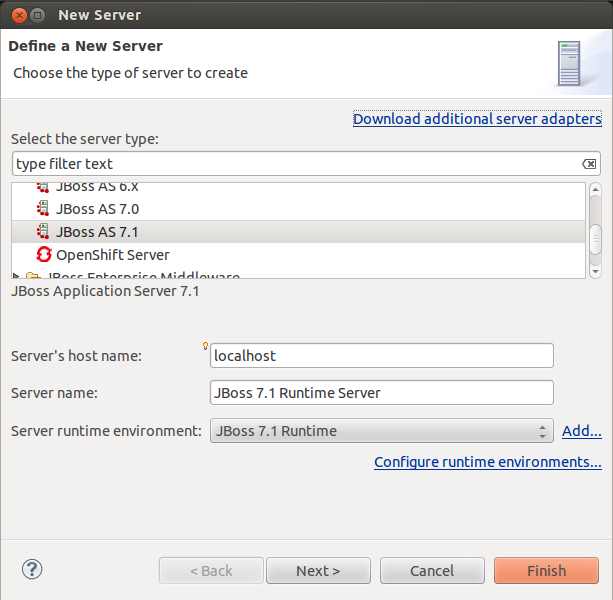 Click Browse and select the jboss-7.1.1 folder on the extracted liferay portal. Click Finish. 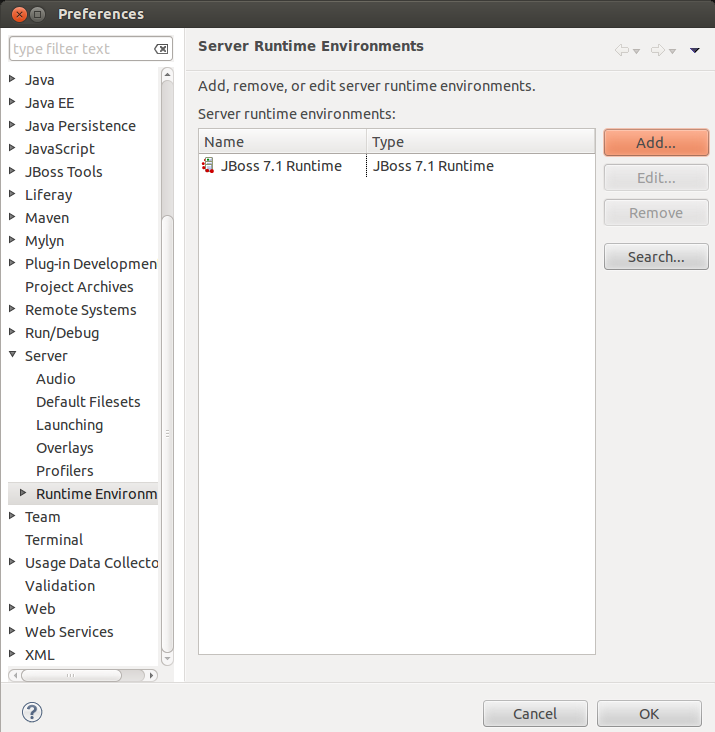 Jboss 7.1 Runtime is now in the List of our Runtime Environment. Click Ok to save the runtime preferences. We will now add the Server. On the servers tab, right click and select New. 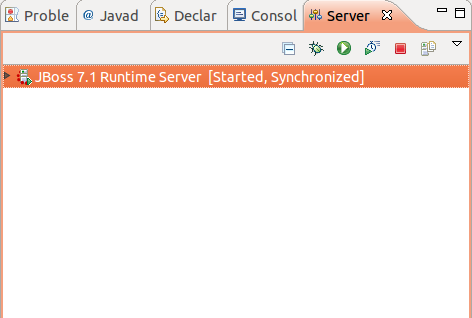 Under the Jboss Community select JBoss AS 7.1. Click Finish. On the Server tab. 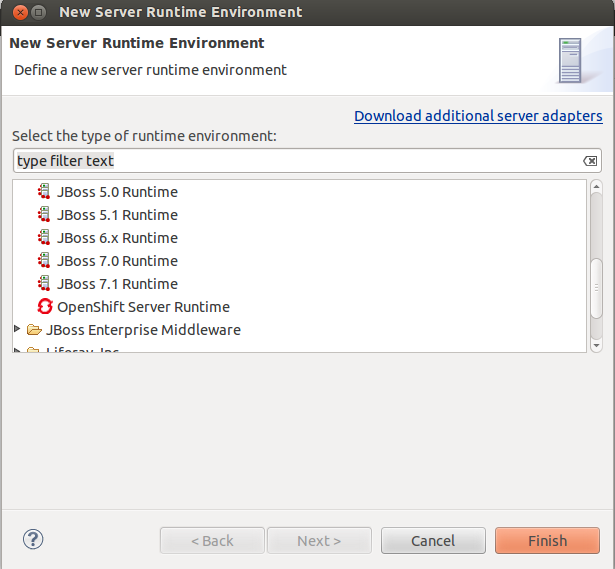 Select Jboss 7.1 Runtime Server and click Start. Open a browser and enter this Url: http://localhost:8080/. Our Liferay Jboss Server is now up and running. Extract the File in your selected folder. In Eclipse. Go to Go to Window > Preferences > Server > Runtime environments. 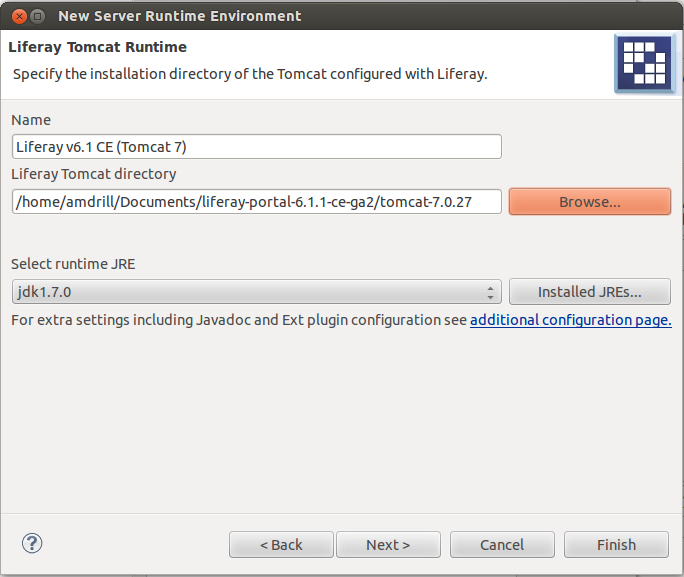 Click Add to add a new Liferay runtime and find “Liferay v6.1 (Tomcat 7)” under the Liferay, Inc. category and click Next. 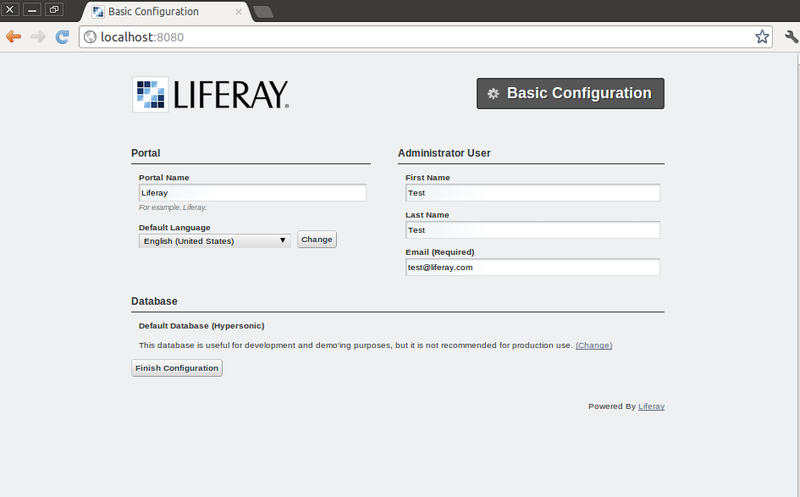 Click Browse and select the location of the liferay-portal-6.1.1.ce.ga2 directory. The Liferay Tomcat Directory field will now be populated. 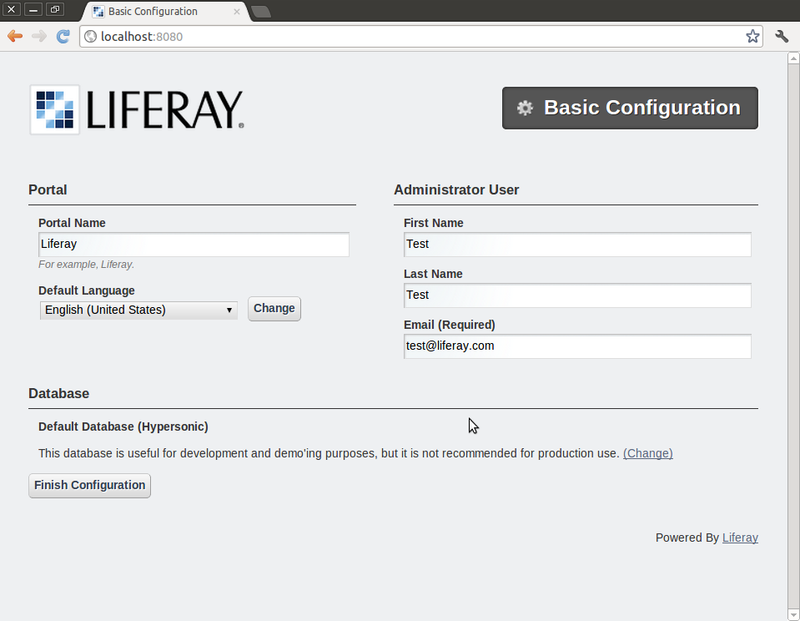 Click Finish. .
Liferay portal runtime is now available in the list of runtimes in the preference page. 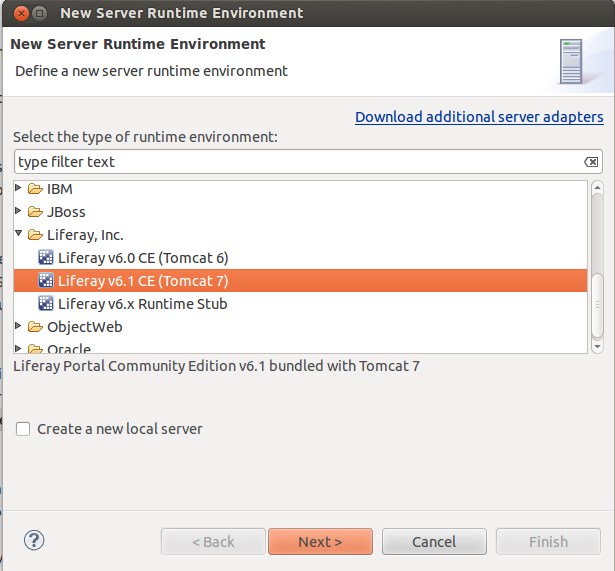 Find the Liferay, Inc category and select the Liferay v6.1 Server and choose the Liferay v6 Runtime that we had previously created. Click Finish. 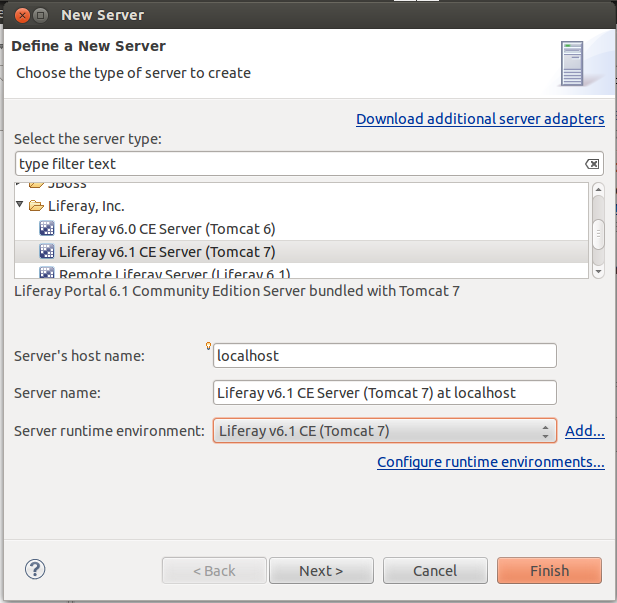 Liferay Server is now available. Extract the zip file using archive manager. 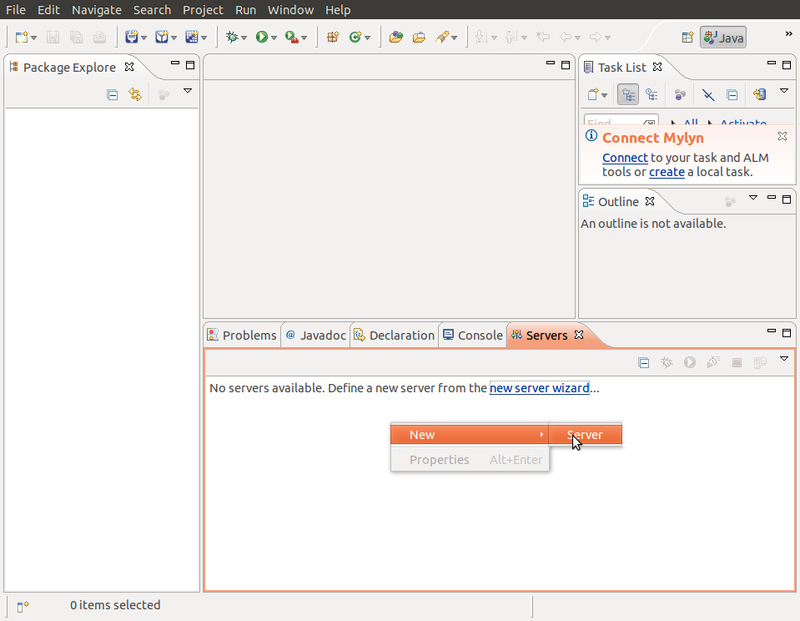 In Eclipse (with Liferay IDE). Go to Window > Preferences > Liferay > Installed Plugins SDKs. On the Add Liferay Plugin SDK Location. Click browse and select the extracted sdk folder on step 1. 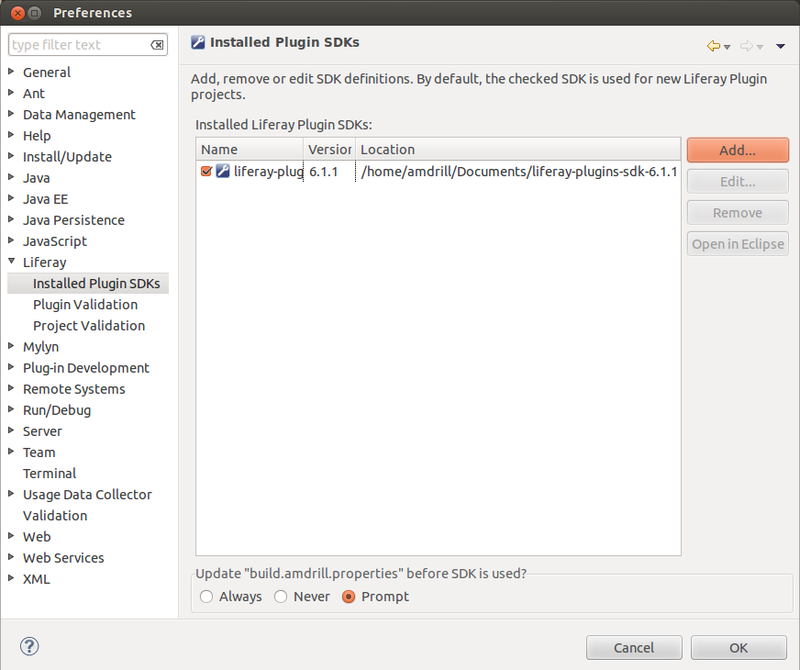 Select OK and you should see your SDK in the list of Installed SDKs. 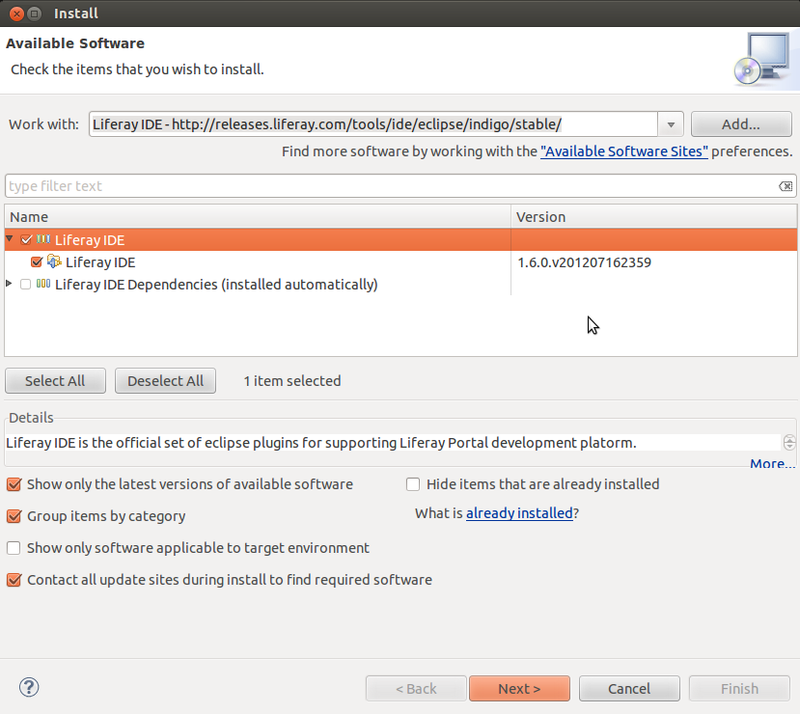 Today I have installed Liferay IDE in Eclipse Indigo using my Ubuntu 12.04 desktop. Here are the steps that I use. 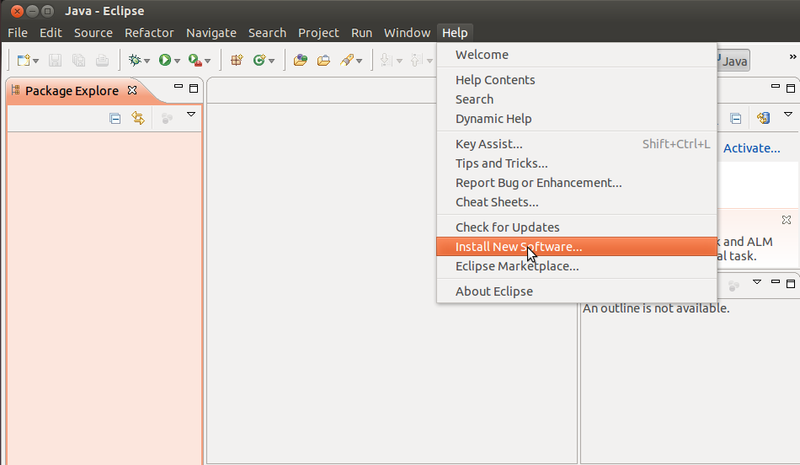 On Eclipse IDE go to Help and click Install New Software. On the Available Software Screen click Add… button. The Added repository will now be in added in combo selection box. And Liferay IDE will now be added in the Table. 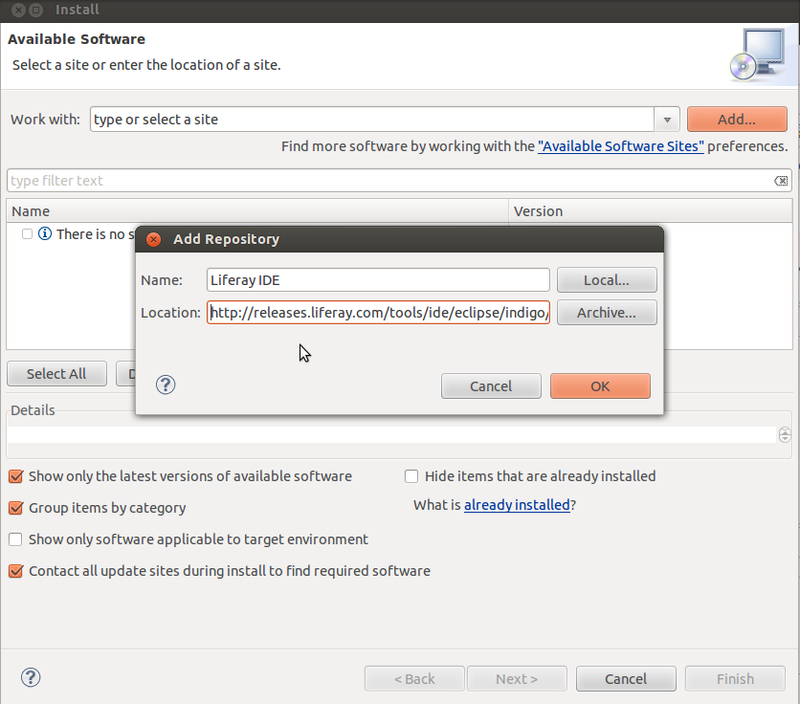 Select Liferay IDE and click Next. 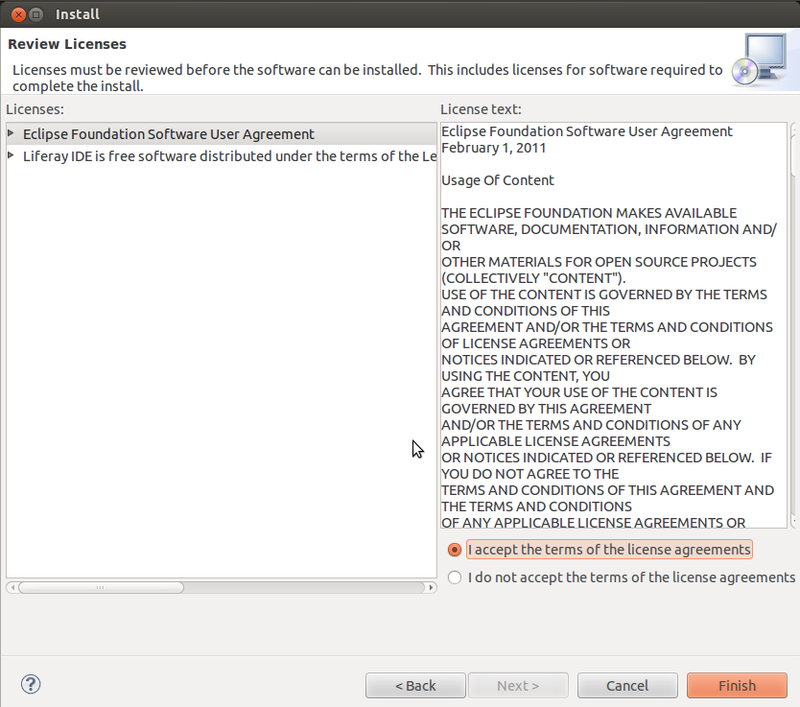 Accept the terms and license agreement and Click Finish. Plugins will now be downloaded and installed. 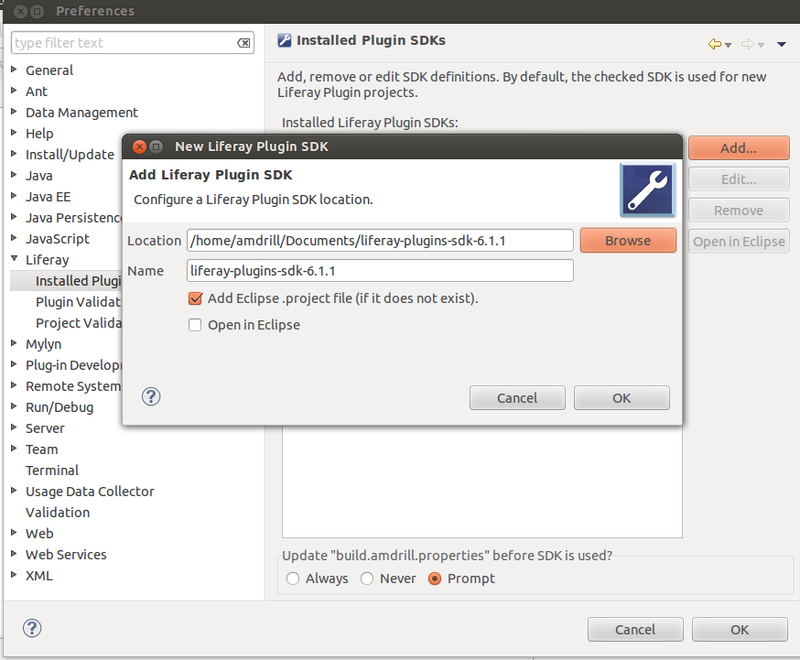 After plugins download and install, accept that the content is unsigned by clicking OK.
After you restart, go to Help then click About Eclipse and the Liferay Icon badge will be shown. I have developed portlets for Liferay portal in my previous work. 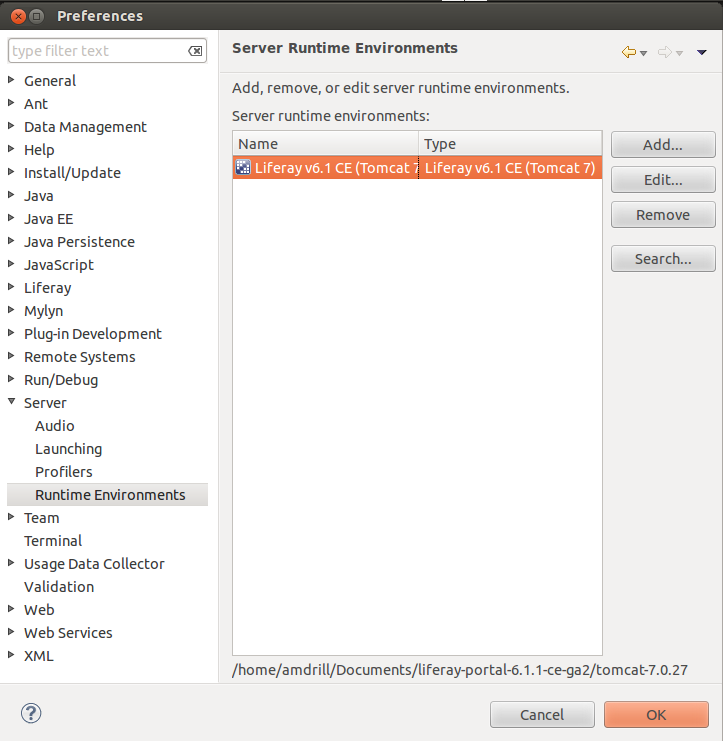 And I will be working again with Liferay in my upcoming project so i decided to create a tutorial on how to setup Liferay IDE and Liferay runtime environment and also create portlets using spring-portlets. In creating our portlet we will be using Spring-portlet framework. Welcome to https://amdrill.wordpress.com! I want to share some of my knowledge and experience about java, j2ee, linux(ubuntu) and everything about computers(hardware and sorftware). I hope I can be a big help to everyone.